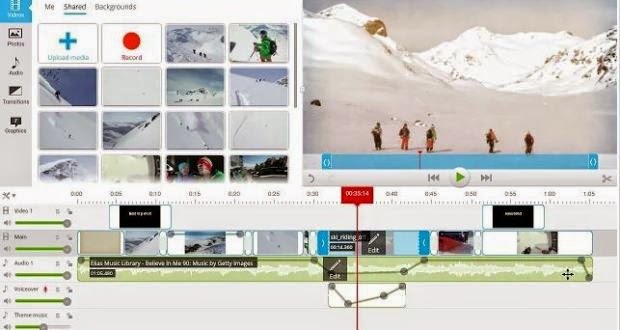 IWASSA Co.: Release added "WeVideo" Editor maker videos on Google "Chrome"
Release added "WeVideo" Editor maker videos on Google "Chrome"
Characterize your style of your video using dozens of creative themes and professionalism, do take into account the creative consistency in all your videos through the application of "WeVideo". It also contains "Wevideo" additional feature: where the "Wii Video" to add a sub-folder named H to Google Drive main folder. This sub-folder contains projects and videos Wii video that having produced the names.